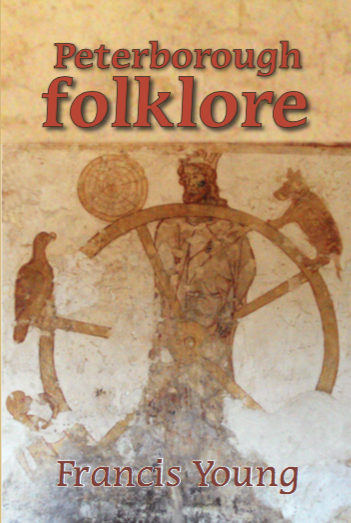 Today is the official publication date of my book Peterborough Folklore, the first dedicated survey of the folklore, customs and legends of the Peterborough region in eastern England. This evening I am launching the book with Lasse Press at John Clare Cottage in Helpston, and I am very grateful to the John Clare Trust for hosting this event and making it possible. John Clare is a key figure in the history of Peterborough’s folklore, as the first ever collector of local folklore in English history. The book draws on Clare’s writings on folklore as well as on the papers of Charles Dack, a forgotten Peterborough folklorist, and many other sources. The modern Peterborough region now includes parts of the ancient counties of Northamptonshire, Huntingdonshire and Cambridgeshire. The original region, the Soke of Peterborough (which was a county between 1889 and 1965) was smaller, consisting of the two northernmost hundreds of Northamptonshire (and one parish now in Lincolnshire), but geographically and culturally distinct from that county. Because Peterborough has never truly been considered part of Northamptonshire or Cambridgeshire its distinctive folklore has been neglected until now. I am hopeful that this book will stimulate interest in Peterborough’s heritage and lore and lead to more detailed explorations of the subject. Congratulations, Francis – and I hope the launch goes well and is fun! I’m a fan of Clare’s poetry. This entry was posted on September 19, 2017 by jacobite.